Great green bush cricket (Tettigonia viridissima) on a plant. 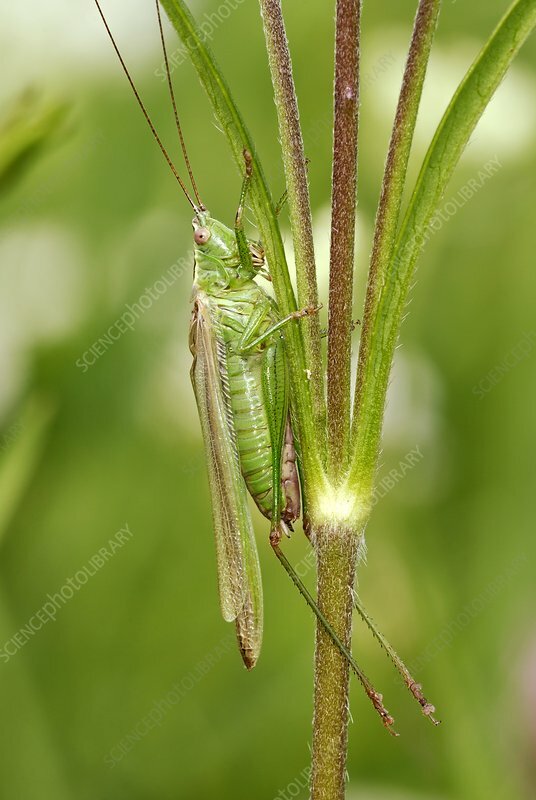 This species of bush cricket, or katydid, (family Tettigoniidae) is found from Europe to Mongolia, especially in meadows, grasslands, prairies and occasionally in gardens. Photographed in Poland.